Intensive care for dry hands and brittle nails. Rich and refreshing daily protection for hands which need extra care. The lemon tree lives a long time, and it has a unique ability to flower, fruit and grow all at once. 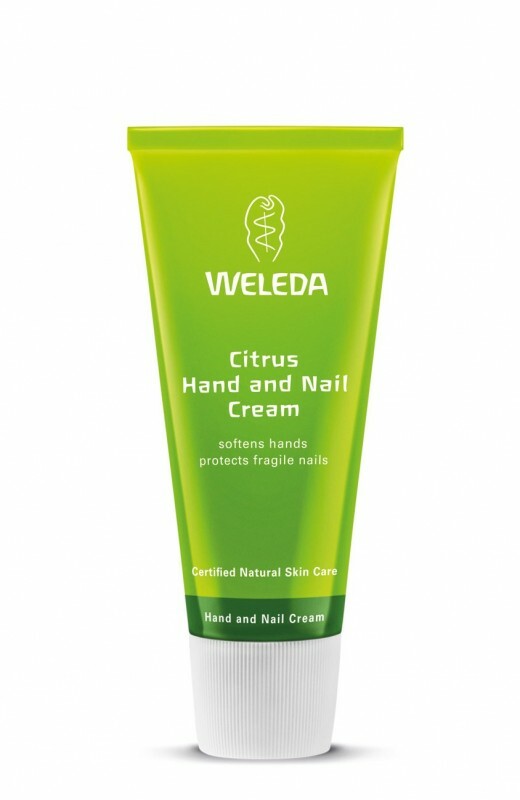 Weleda knows this makes organic lemon oil the perfect ingredient for a cream that replenishes while it refreshes. 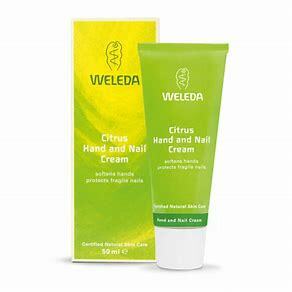 The invigorating citrus scent is entirely natural and the rich cream protects your hands from dryness, softens skin and protects brittle nails with carnauba wax and lanolin. Hands up who feels better! Suitable for vegetarians. I have yet to be disappointed by a product from Weleda. This is a really great hand product. This is a very rich, moisturising hand and ail cream that smells really uplifting. "I have yet to be disappointed by a product from Weleda. This is a really great hand product."